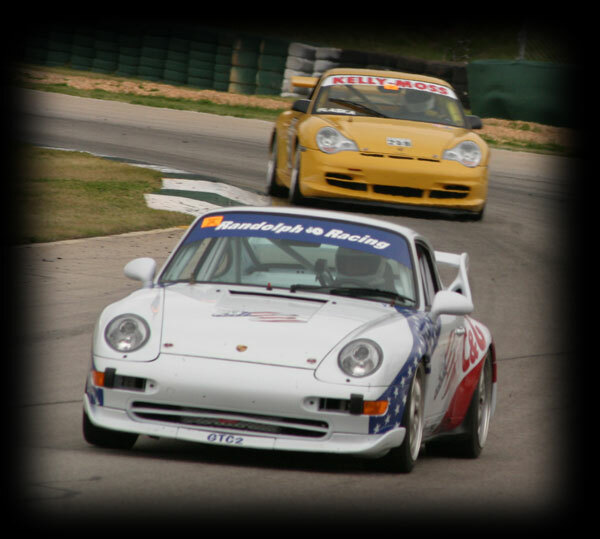 Russ Castagna, above, took first place in GTC2 at the Road Atlanta Club Race in April, 2004! 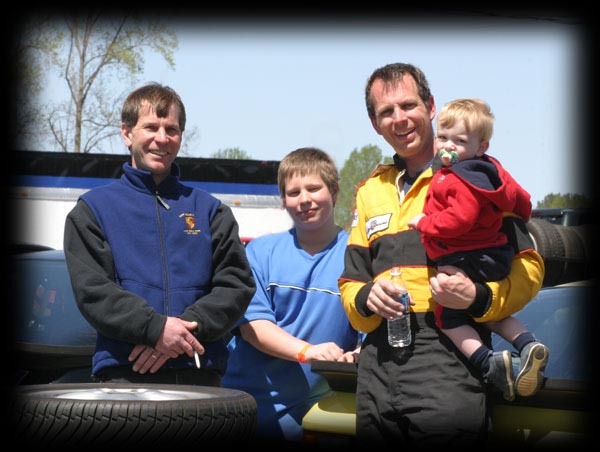 Jack Balthasar, below, took second place in Stock H class at his first club race! Kevin flew down to Atlanta to support both teams. Here's Kevin above with Norm LeMaire's car. 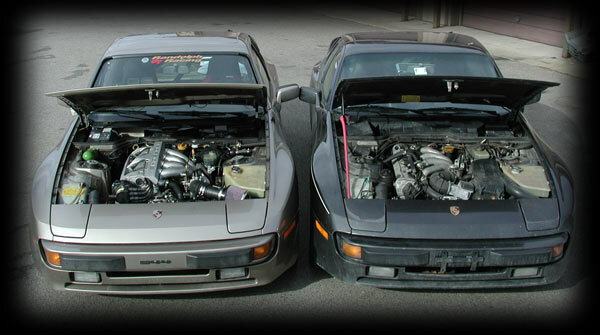 Can you tell the difference between these two 944's? Hint - the engine on the left is bigger! 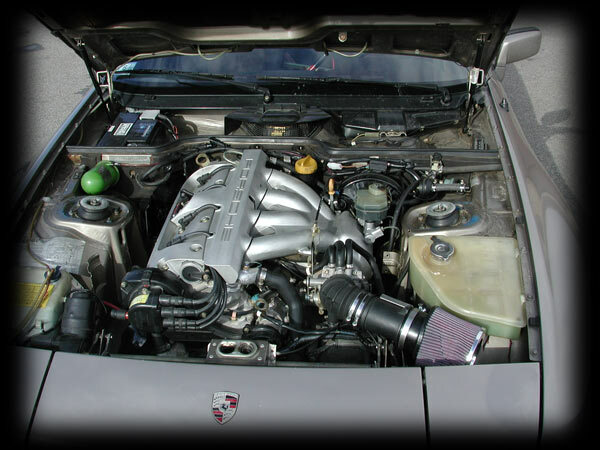 It's actually a 968 engine that we fitted into Steve Smith's 944. Power is much improved and Steve is pleased beyond expectations. Watch for him at the Autocross! 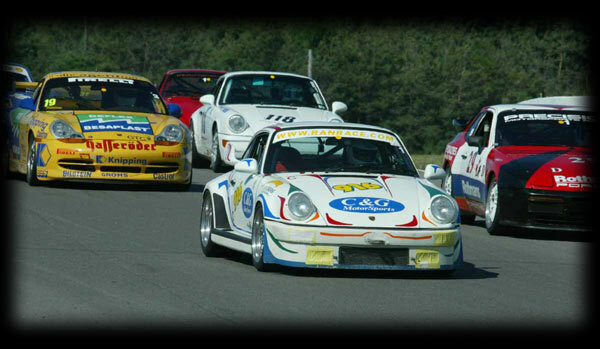 Big Day for RanRace Drivers at Mosport 2002!! We recently moved into a new 3800 square foot facility, featuring six lifts, an alignment rack, a dead stall, and a waiting room for customers. We also now have a large secure lot that is trailer friendly. See above for our new address and phone number. see the home page for another photo. 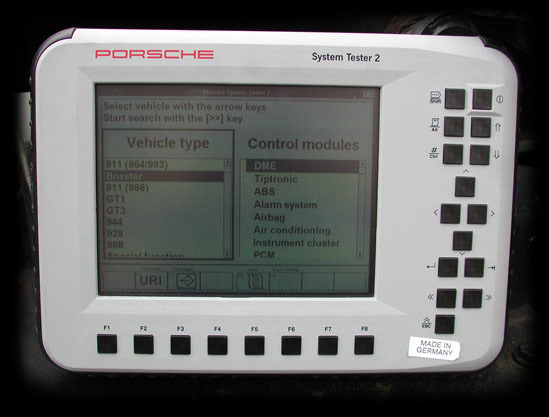 There is NO SUBSTITUTE for the right tool, and this tester is the ultimate in computer diagnosis!! Russ Castagna and Kevin Salzman are featured in an article in the Patriot Ledger. Click here to read the article! NEW: We just added a Corner Balance System to our shop, and we've already configured several customers' cars to maximize the handling characteristics. Click here for more info. Russ Castagna last race of 2001 was at Mosport where he once again captured first in class in the Sprint and the Enduro. It seems that Russ is becoming a creature of habit!! For the season, out of 7 races that he competed in, Russ has 5 firsts and 2 seconds!!! Russ put in another stellar performance at Watkins Glen in mid-June, where he finished first-in-class in the Enduro Race AND first-in-class in the Sprint Race. 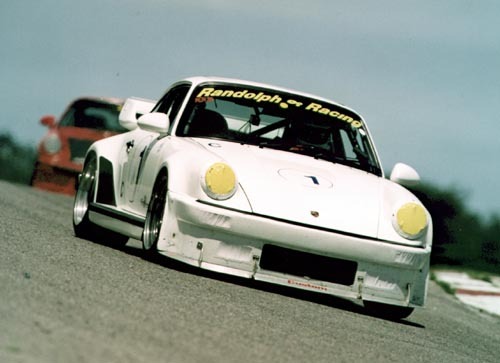 Russ competes in the "C" class with his Randolph Racing prepared 1989 930. 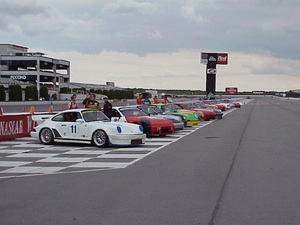 In May, 2001, Russ finished second-in-class at Lime Rock , in a very exciting race. It was a fantastic race with Russ finishing only .198 seconds off the lead!! He also finished second-in-class at Road Atlanta in April. 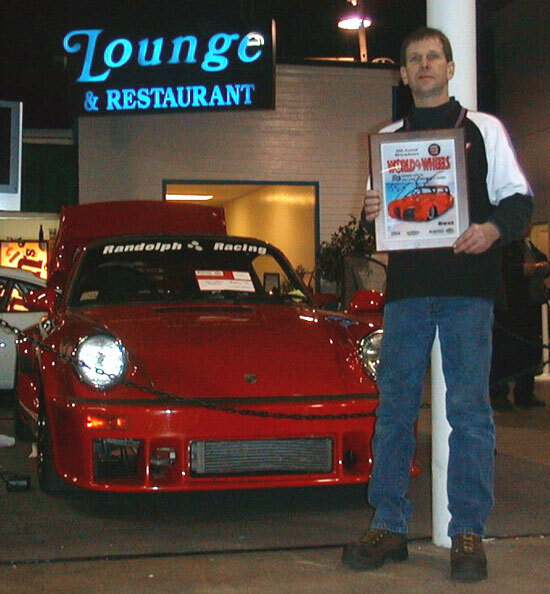 No stranger to podium finishes, Russ entered four club races in 2000 -- resulting in three class wins and one second-in-class finish!!! Randolph Racing is proud of the work we've done on Russ's car, having just rebuilt the engine and transmission prior to the Road Atlanta race. In addition to performance, we would like to brag about our reliability -- as Russ completed last season without incident! 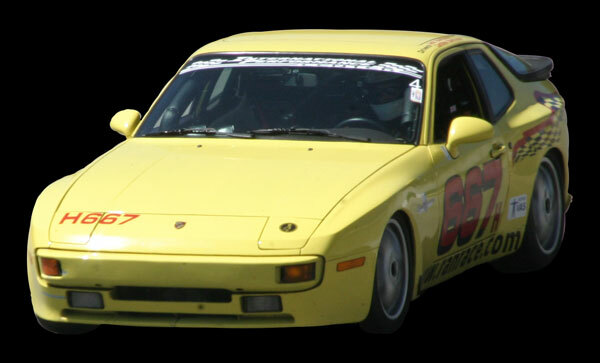 Read about Kevin and Russ' success at the historic Watkins Glen 50/50 race in 1998!! Please check back regularly for more updates on Russ's success, news about other drivers that we support, and other miscellaneous items! Check out our latest Turbo job!